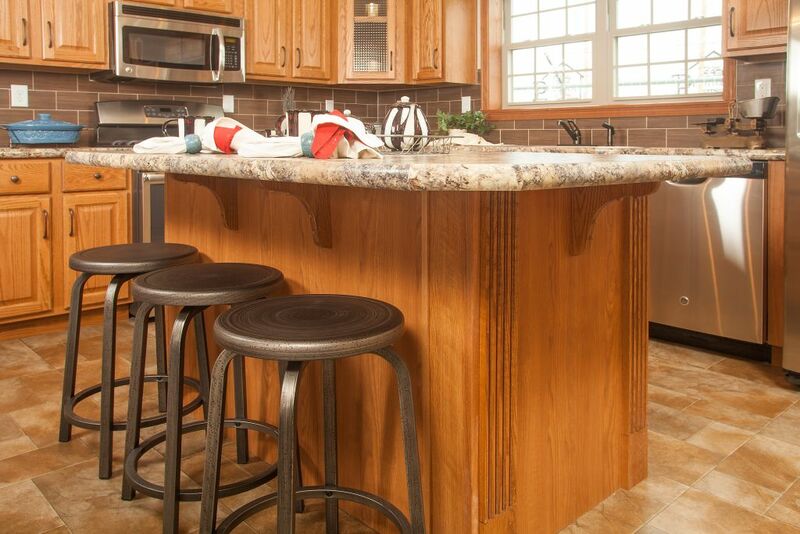 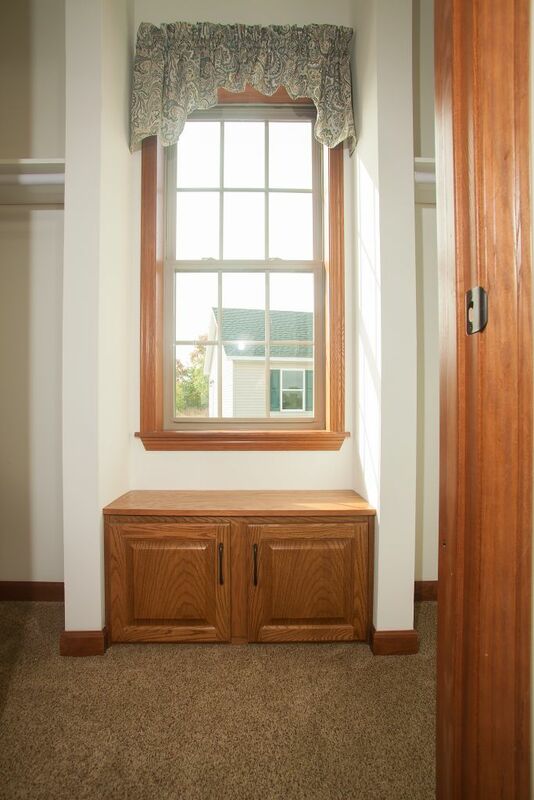 Pennwest homes are constructed to the local building codes for your area. 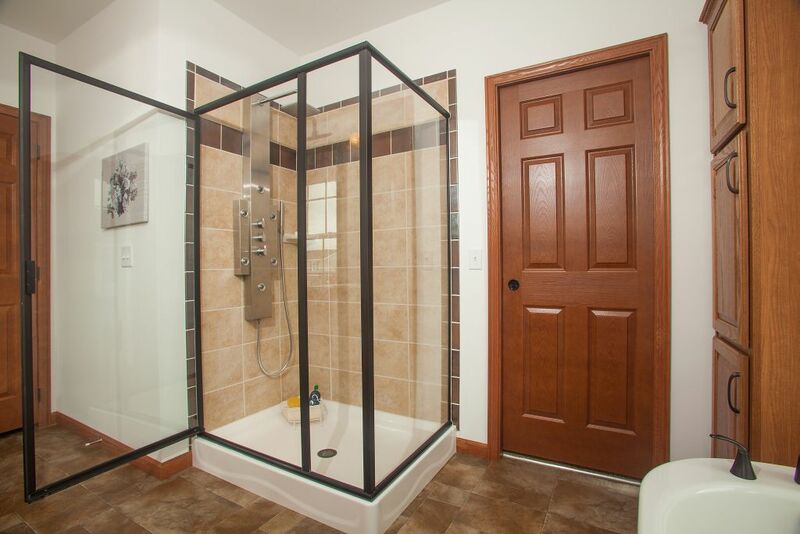 Each Pennwest has a self contained heating system installed and standard features that are normally options for other series. 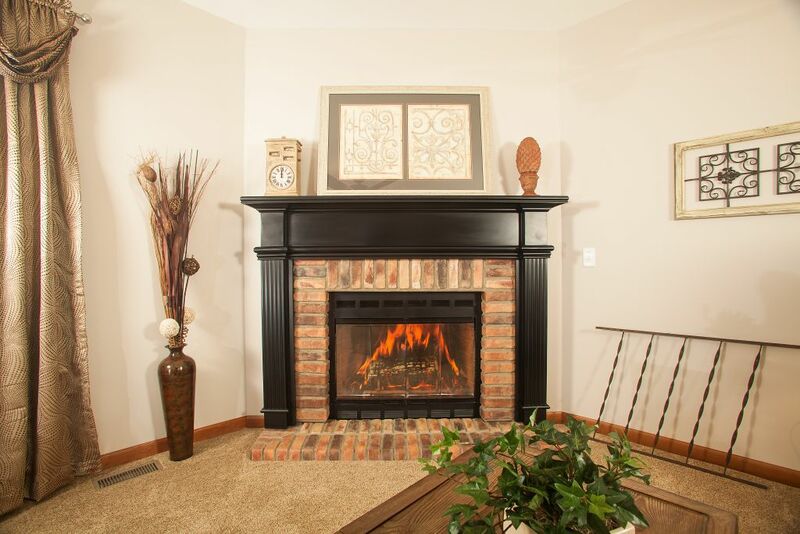 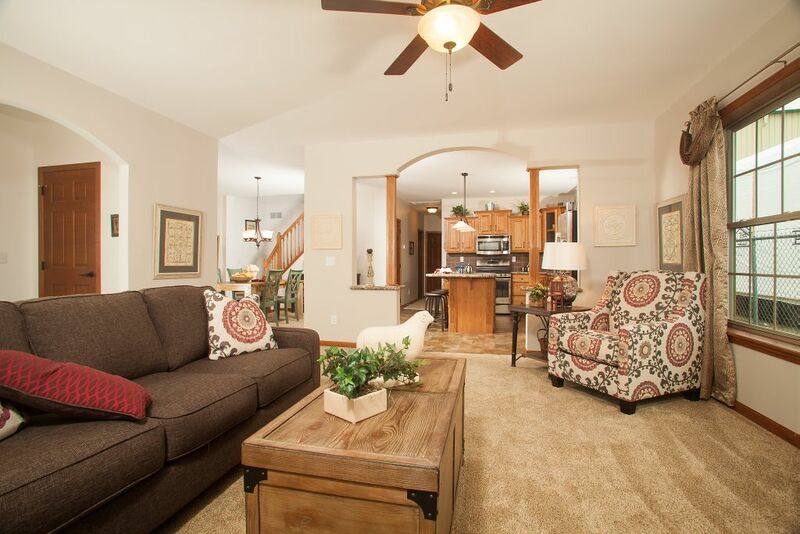 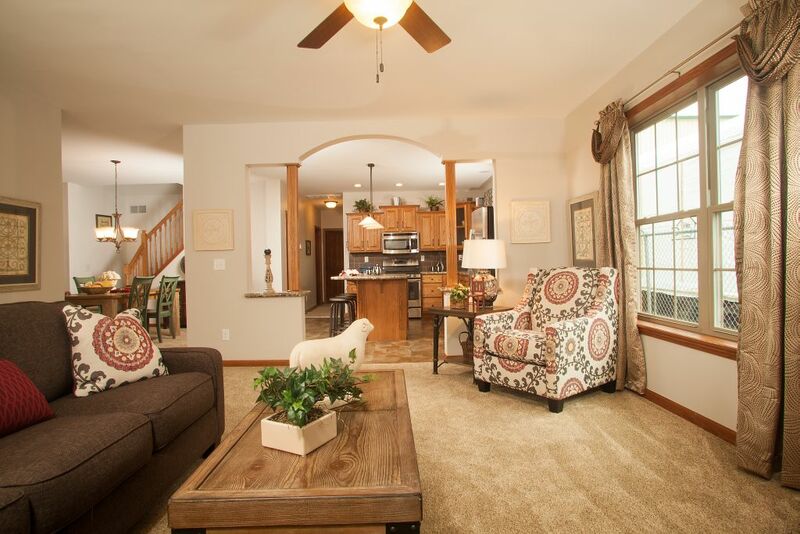 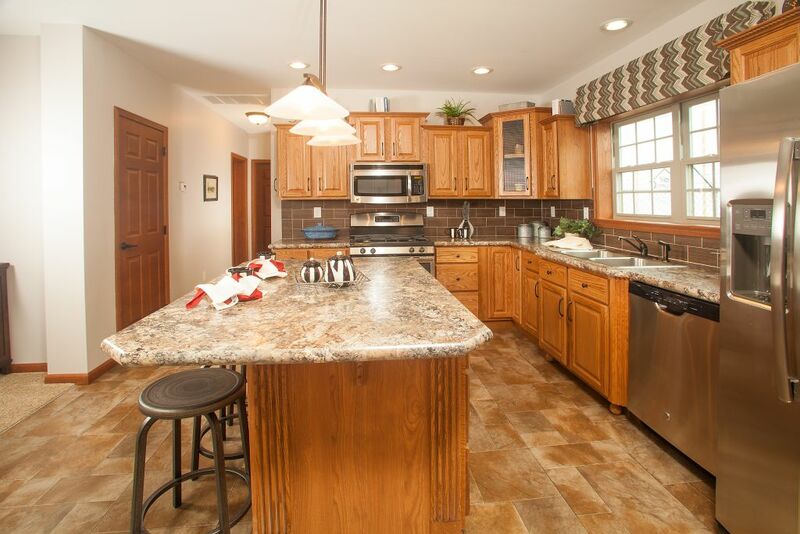 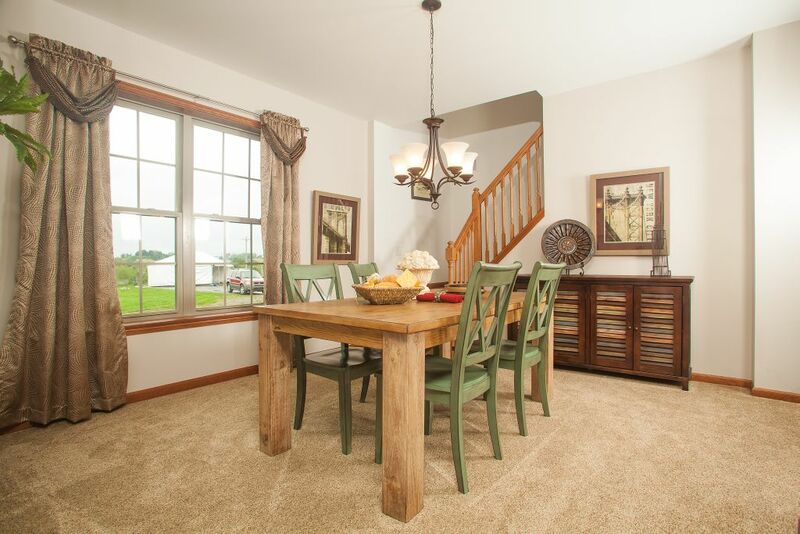 Our Branston Ranch is a 1704 square foot ranch with a great open feel with defined spaces! 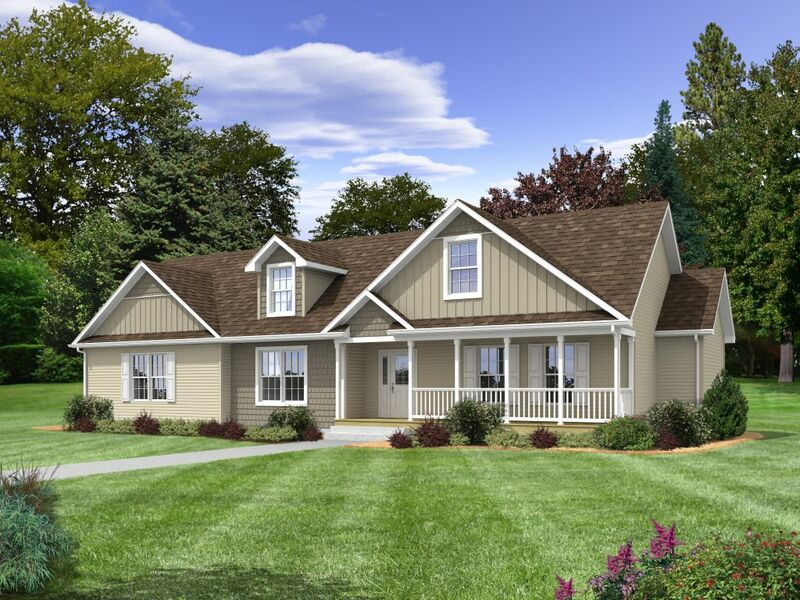 The Exterior of the home is inviting with the standard covered porch! 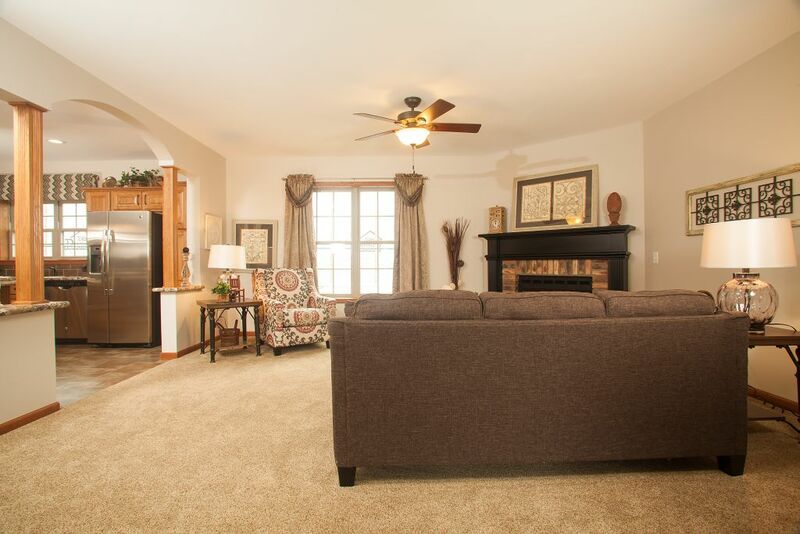 A formal foyer leads into the large great room that has a nice optional fireplace location, and great wall space for furniture placement. 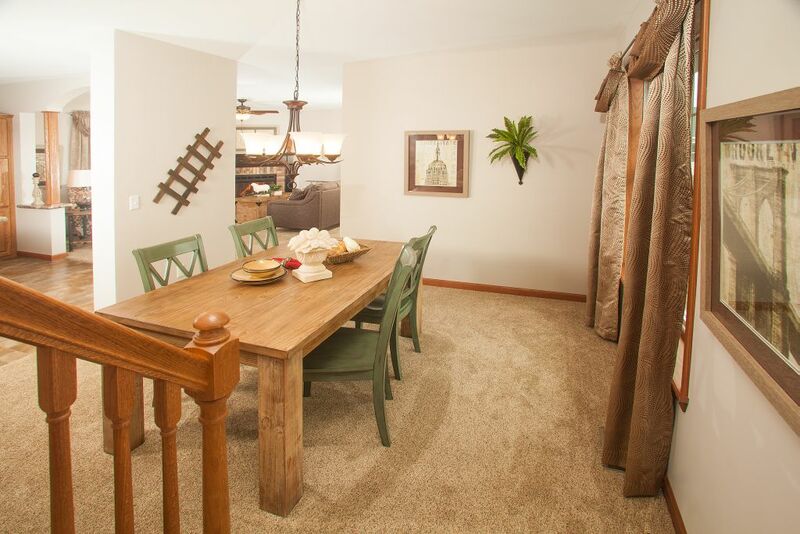 The formal dining room is off both the great room and kitchen and features a hanging chandelier! 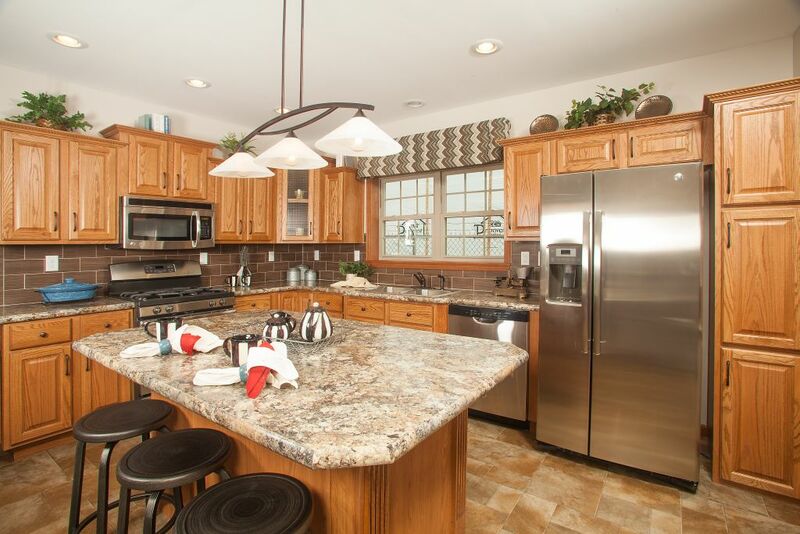 The kitchen is a great space, perfect for the cook in the family! 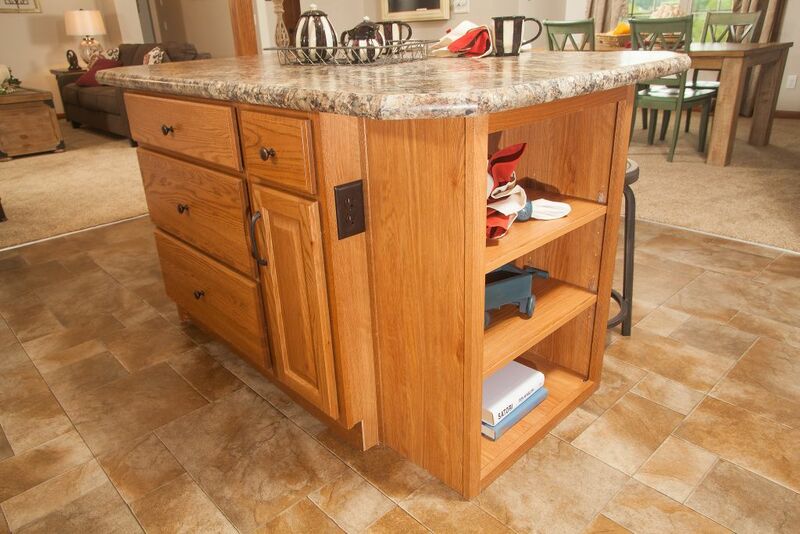 A large island is standard in this kitchen, and it provides additional countertop and cabinet storage space to this space. 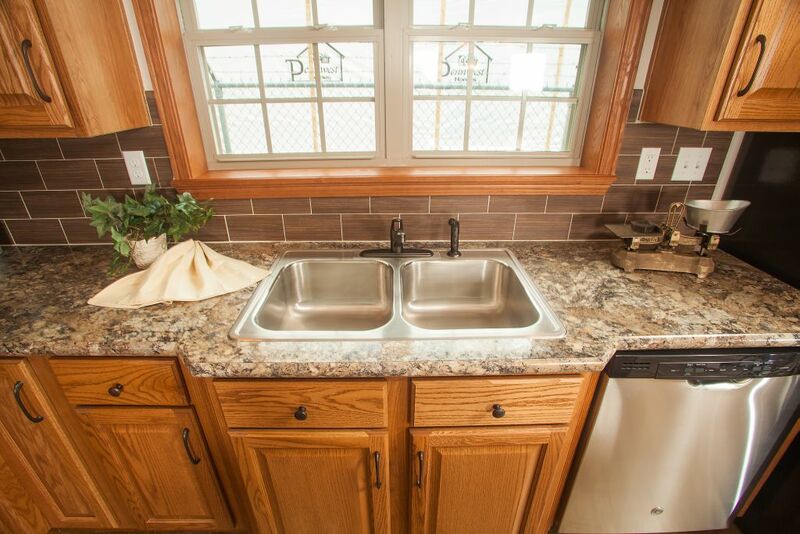 Many upgrade options are available for this kitchen including appliance selection, backsplash, cabinet color, and countertop choice! 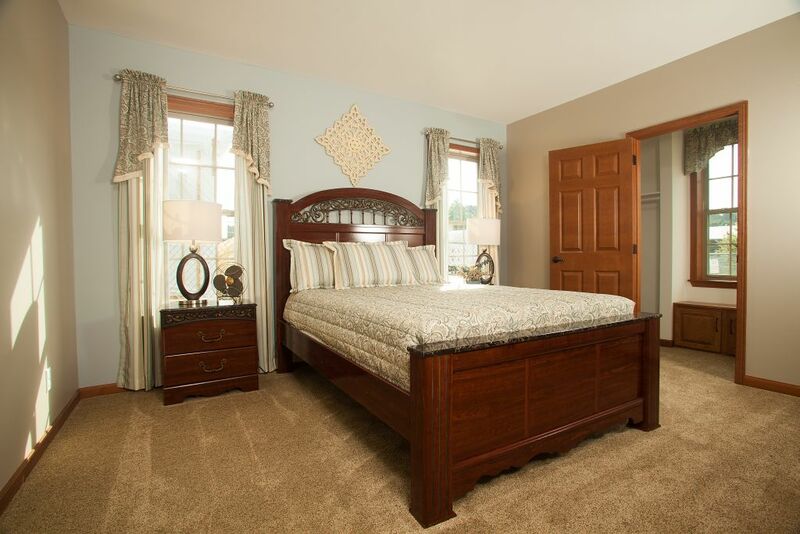 The bedrooms in this home are considered spilt since the living space is between them. 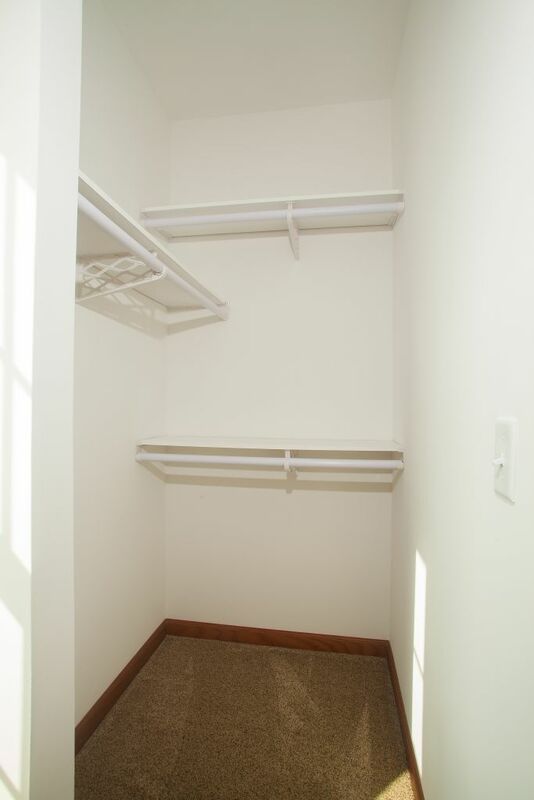 The secondary bedrooms are very similar in size while one offers a walk in closet the other has a standard closet. 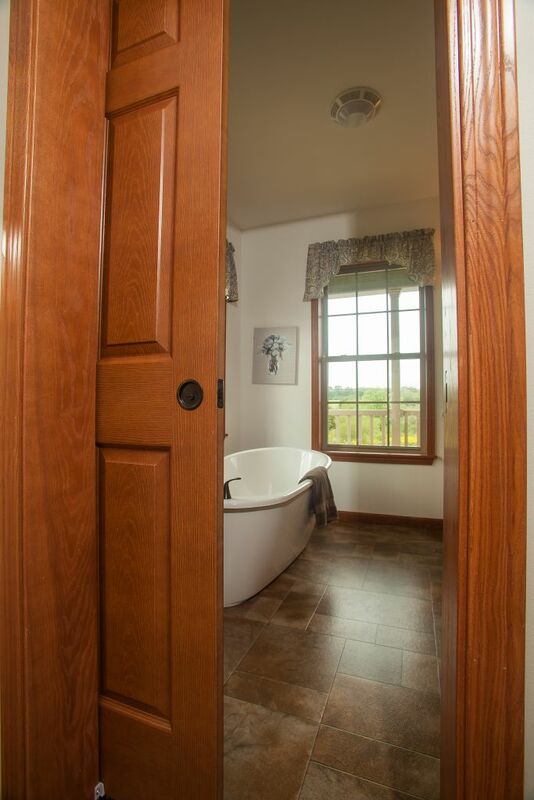 The secondary bathroom is a jack-and-jill bath that can only be accessed by entering the bedrooms. 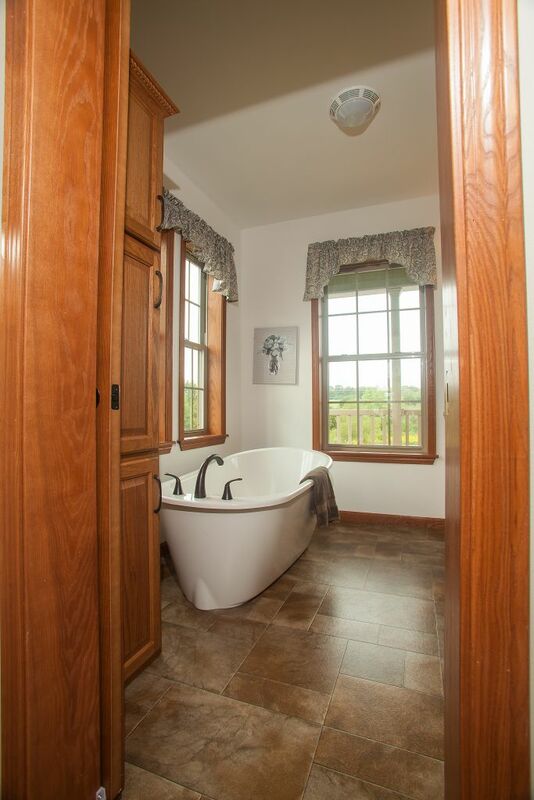 A half bath is located off the foyer for your guest to use. 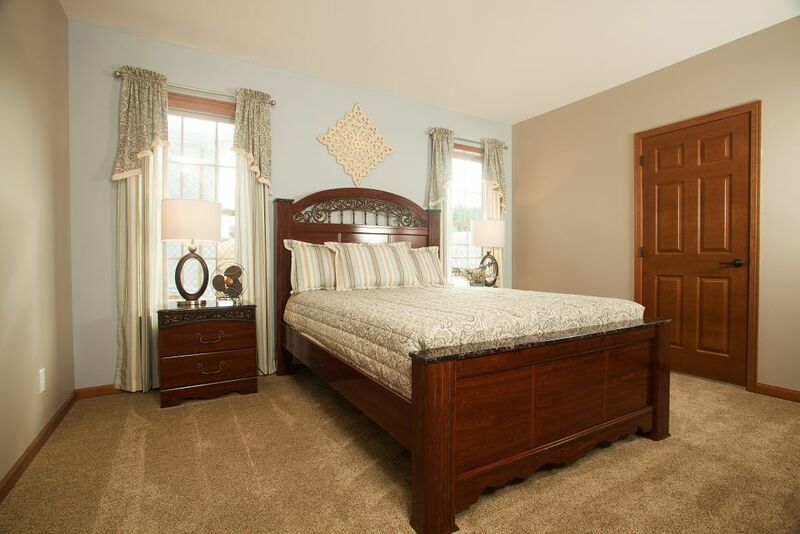 The master bedroom is a large room with a very long walk in closet that is standard with a bench and window! 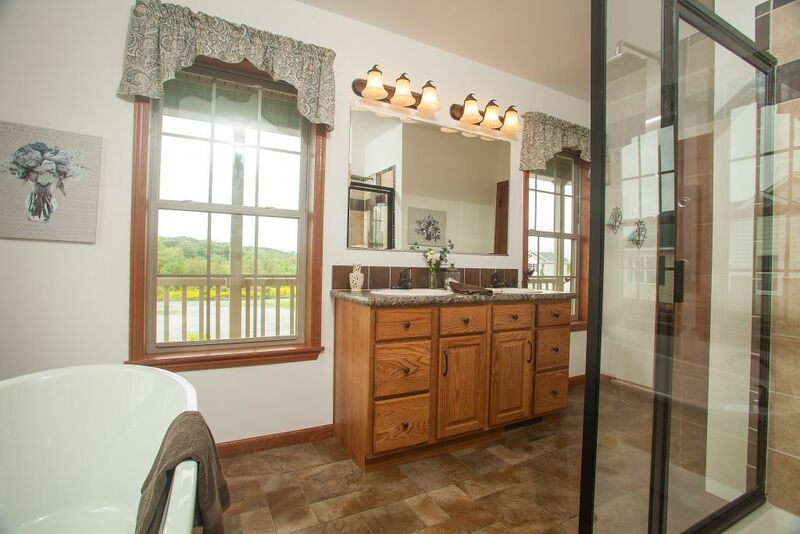 The master bathroom suite is nice space featuring double sinks, walk in shower, soaker tub, and many windows to let the light in! 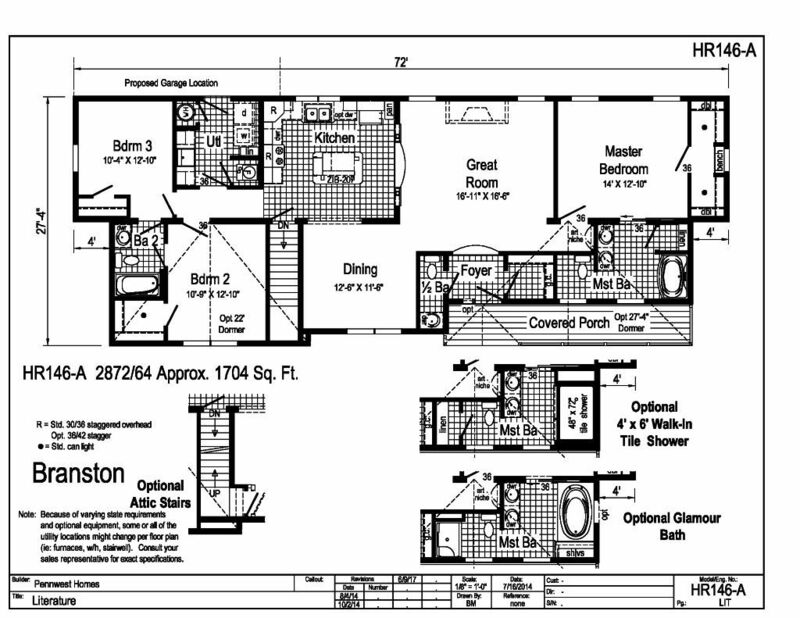 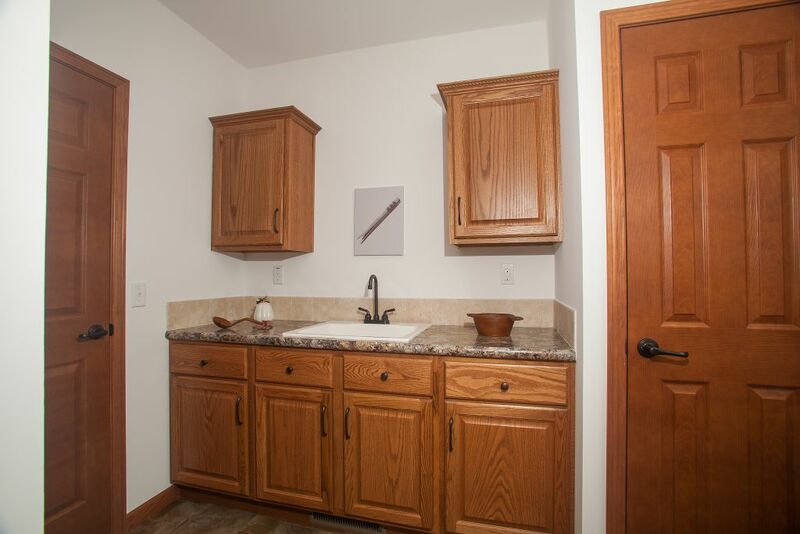 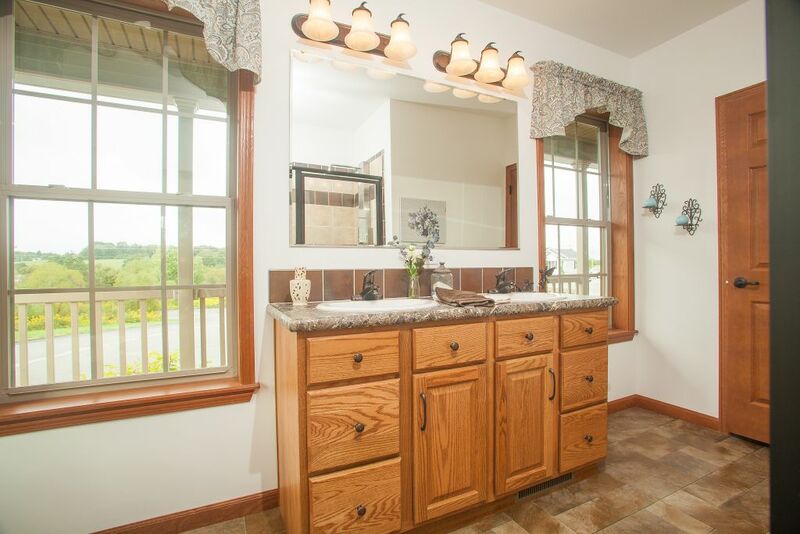 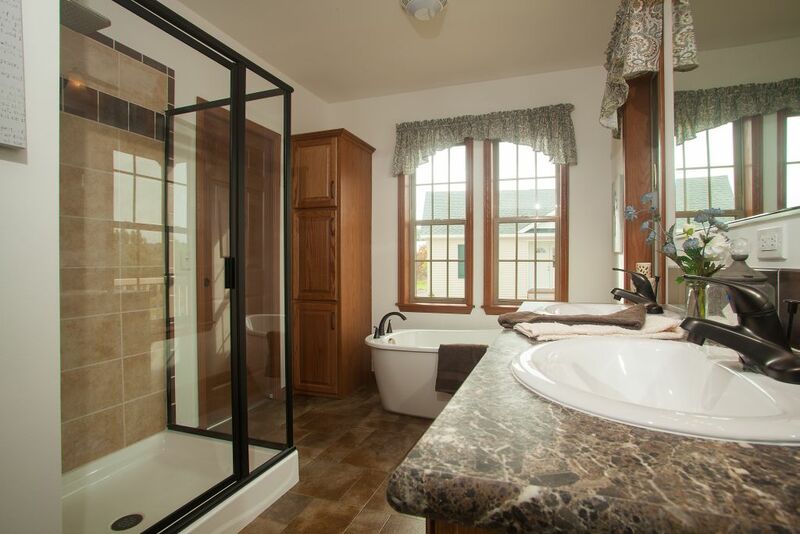 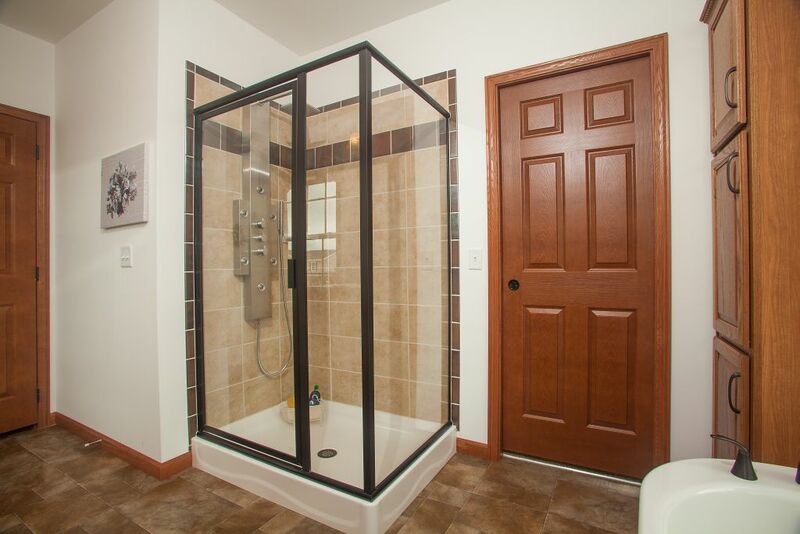 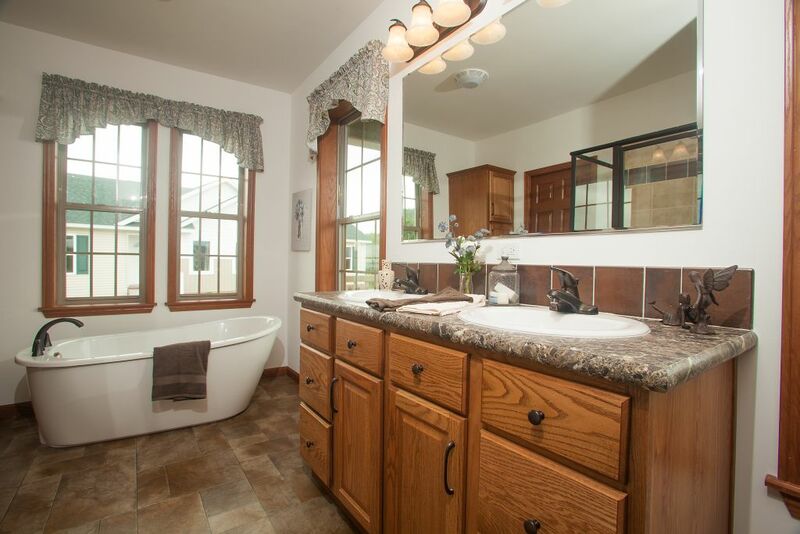 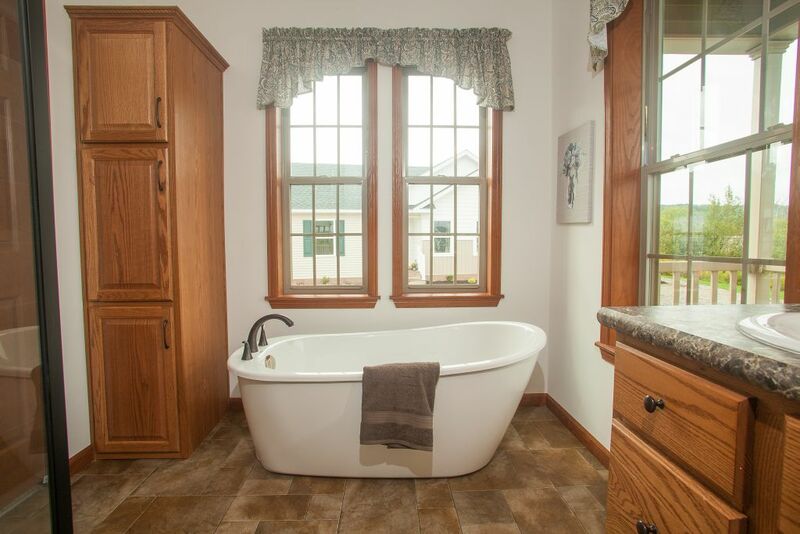 This master bathroom has two additional optional designs as well as many optional upgrades! 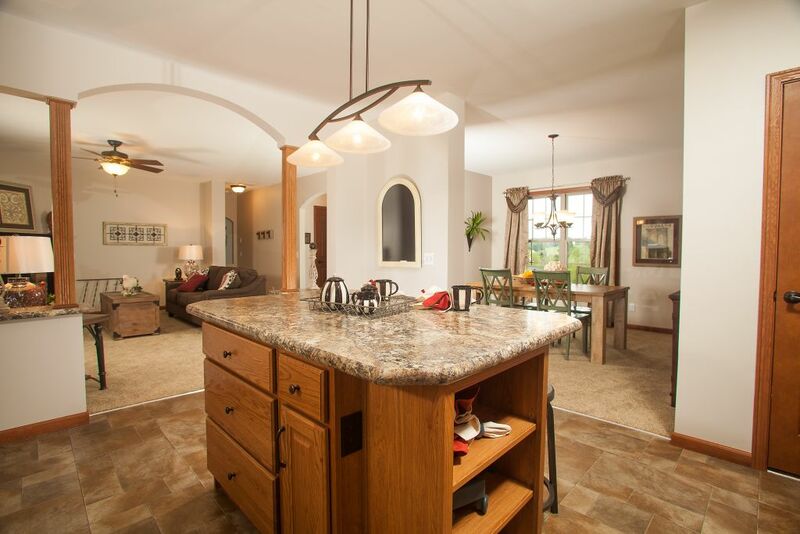 Check this home out for your family!